Brita Haugland Cantrell is a trial lawyer whose practice is focused on products liability defense and family law litigation. She also serves as the leader of the firm’s Family Law Group and represents clients in all aspects of family law, including divorce, complex business valuations and asset and debt apportionment, division of retirement and pension plan assets, custody, visitation, child support, alimony, guardianship and Hague Convention matters. 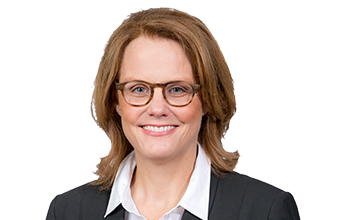 In addition to her civil litigation and counseling practice, Brita also frequently handles pro bono litigation, has been a volunteer advocate for Legal Aid of Oklahoma, and has served by court appointment as a guardian ad litem. Brita’s legal career spans both the private and public sectors. Upon graduating from law school in 1987, she worked as an associate with a Tulsa-based law firm for two years before transitioning her practice and serving as assistant attorney general for the State of Oklahoma from 1989 to 1994. As the state’s lead environmental attorney, she specialized in environmental law litigation in administrative proceedings, state courts and federal appellate matters. In one particularly high-profile case, Arkansas et al. v. Oklahoma, 503 U.S. 91, 16 (1992), she represented the state first on appeal to the U.S. 10th Circuit Court of Appeals from a decision of the Environmental Protection Agency, and subsequently on appeal to the U.S. Supreme Court as counsel with Attorney General Susan Loving and Assistant Attorney General Robert Butkin. 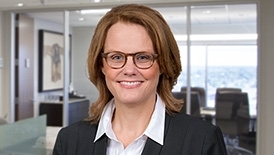 She returned to private practice with the law firm of Eldridge Cooper Steichen & Leach in 2000 and subsequently joined McAfee & Taft when the two firms combined in 2011. Brita’s achievements have earned her inclusion in The Best Lawyers in America (family law) and Oklahoma Super Lawyers. Her prior career experience also includes serving as executive director of the Oklahoma chapter of The Nature Conservancy from 1994 to 2000. Brita is a graduate of the National Institute of Trial Advocacy (NITA) and the founding chairman of the Environmental Law Section of the Oklahoma Bar Association. She is currently serving her second five-year term as a member of the Oklahoma Department of Environmental Quality Board. During this tenure, she has been elected twice to serve as chairman of the board. Representation of parties, individual and corporate, in state and federal courts as well as administrative proceedings. Successful representation of corporate defendants in product liability litigation involving expert analysis, preparation of defense, depositions of fact and expert witnesses, motion practice and trial preparation. Litigated and obtained the court appointment of a receiver over threatened financial assets. Obtained summary judgments in asbestos litigation resulting in the successful dismissal of our corporate client. Obtained summary judgments upholding our clients’ positions which led to quick case resolution. Litigated and achieved appointment of guardians. 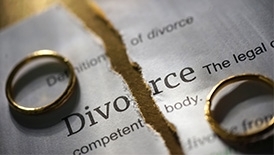 Litigated and obtained appropriate dissolutions of marriages. Litigated and obtained complex business evaluations, expert analysis, contingent income and high-profile asset divisions. Obtained court orders preserving family investments during separation and divorce. Successfully defended and obtained protective or restraining orders. Obtained custody and successful visitation schedules. Secured undisclosed assets based on investigation and forensic accounting. Resolved multi-state custody conflicts, including one that involved three states and three judges. Determining Actions and Allocations of Damages in a Multi-Party Products Case – Who Pays?